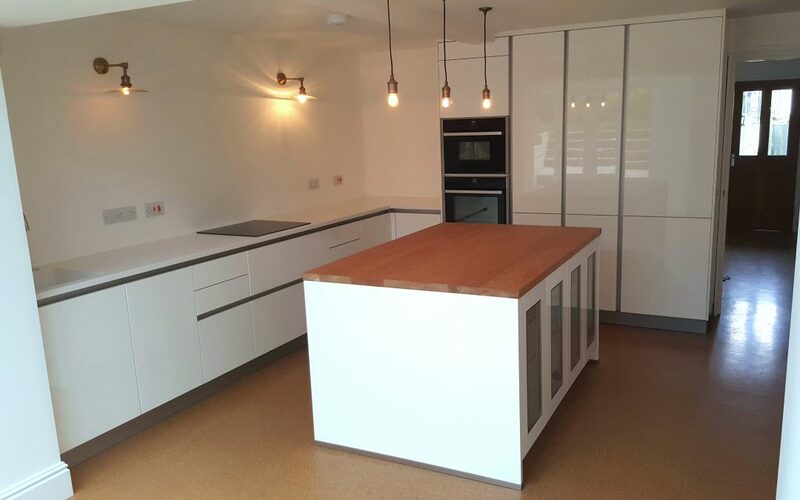 A handleless kitchen with gloss white doors and Push-to-open on the island for a clean minimal look. 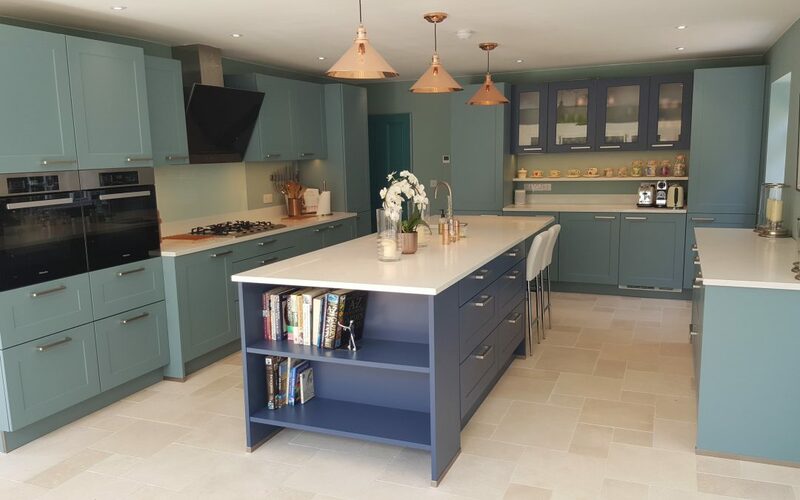 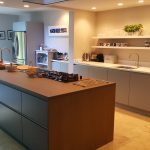 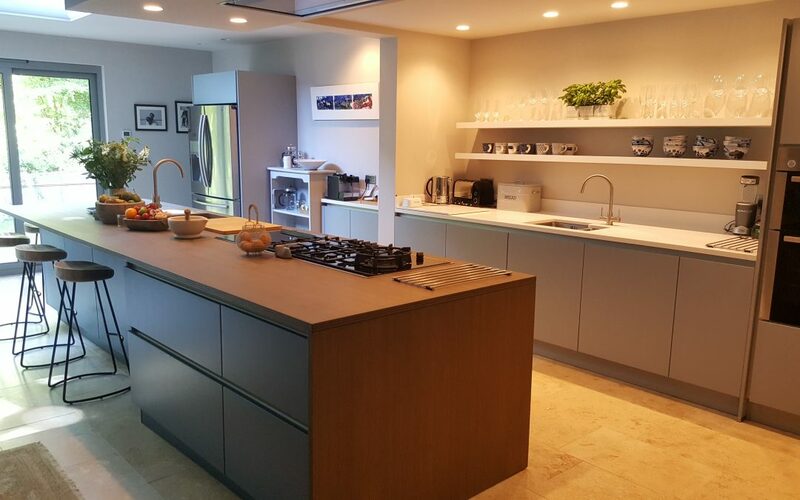 Combined with cherrywood timber and a corian worktop, this kitchen was installed in a redevelopment of a cottage in Cowes town centre. 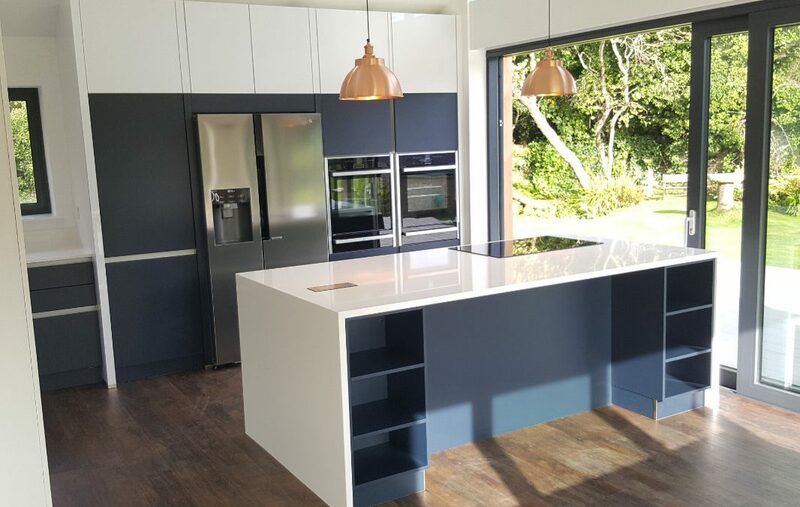 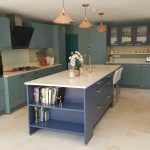 A large classical style two tone kitchen with white silestone worktop in Bembridge. 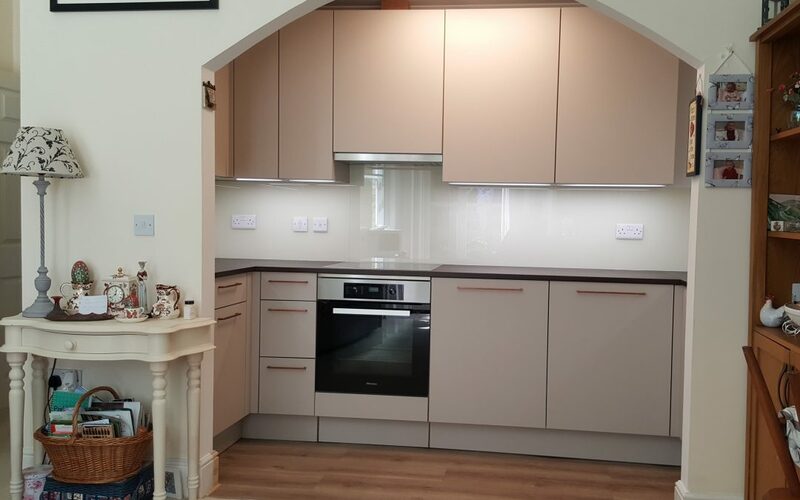 We were able to fit the following appliances into this small space to create an attractive compact kitchen. 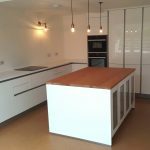 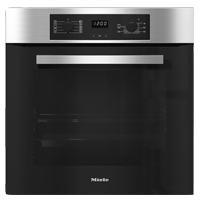 built in Washing machine, fridge, oven, hob, extractor and sink & tap. 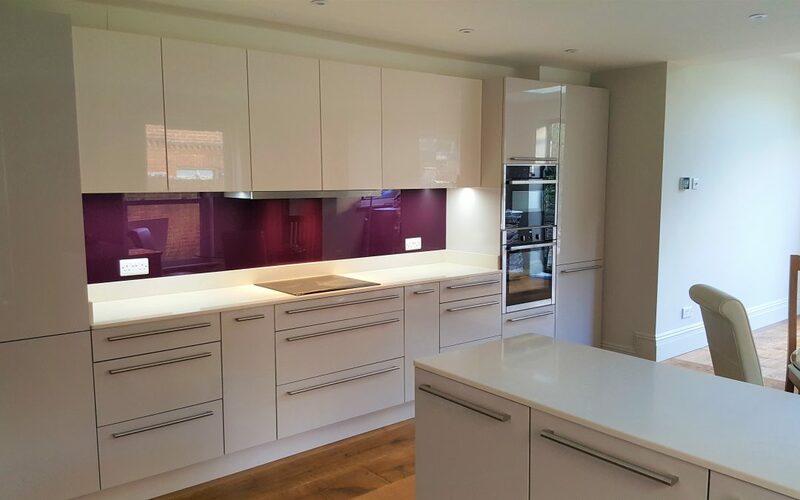 Also finished with white glass splash backs.